Jennifer Pharr Davis is a lover of long journeys and good stories. She has covered more than 14,000 miles of trails on six different continents and has shared her inspiring message to corporations, conferences, and schools across the U.S and Europe. Jennifer Pharr Davis is a lover of long journeys and good stories. She is an author, speaker, record setter and National Geographic Adventurer of the Year who has covered over 14,000 miles of long distance trails on six different continents. 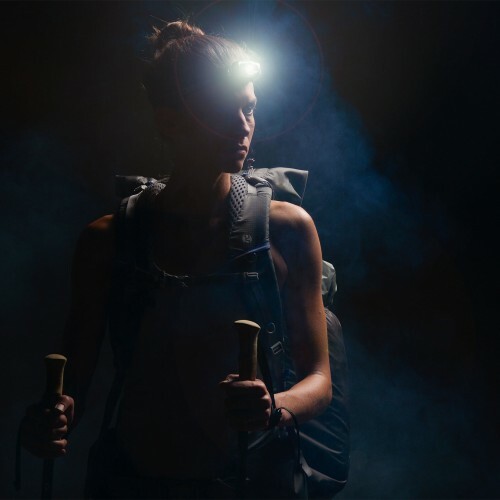 In 2011, she covered the 2,181-mile Appalachian Trail in forty-six days, eleven hours, and twenty minutes, maintaining a remarkable average of forty-seven miles per day. By doing this, she claimed the overall (male or female) fastest known time on the “A.T.” and became the first woman to set that mark. Jennifer has authored seven books, including her latest critically acclaimed work, The Pursuit of Endurance: Harnessing the Record-Breaking Power of Strength and Resilience (Viking Press). She has also written three North Carolina guidebooks and two hiking memoirs called Becoming Odyssa and Called Again, as well as articles for The New York Times, Outside magazine, Backpacker, Trail Runner, and Blue Ridge Outdoors. She is a professional speaker who has shared her trail adventures hundreds of times in the U.S. and Europe, including presentations to Fortune 500 companies, schools, libraries, bookstores, and conferences. Notable clients include Volvo, Wells Fargo, American Airlines, Lowe's, General Electric, Cox Media, Feeding America, Chatauqua, Penn State University, the University of Arkansas, Amherst College, Phillips Exeter Academy, and Frankfurt International School. Jennifer is founder and owner of Blue Ridge Hiking Company (www.blueridgehikingco.com), a guiding service that strives “to make the wilderness accessible and enjoyable” for hikers of all ages, genders, and ability levels. She has served as a board member for the Appalachian Trail Conservancy and ambassador for the American Hiking Society. She lives in Asheville, North Carolina, with her husband Brew, their daughter Charley and son Gus. FAMILIES ON FOOT: URBAN HIKES TO BACKYARD TREKS AND NATIONAL PARK ADVENTURES Published in partnership with the American Hiking Society, Families on Foot offers practical advice and engaging activities to make hiking even more fun for families. You'll find clever ideas and inspiration that apply to kids of all ages--from tackling diaper blowouts in the backcountry to using smartphone apps and GPS to engage teenagers with nature. Information for children with special needs and seniors also is included. Author Jennifer Pharr Davis, the former record holder of the fastest thru-hike of the Appalachian Trail, together with her husband Brew Davis, marries old-fashioned know-how on safety, preparation, and trail conservation with modern day activities and technology, inspirational and interactive games, and down-and-dirty fun on the trail. Information includes smart tactics for families with kids of a variety ages on the trail—from tackling diaper blowouts in the backcountry to getting teenagers engaged in nature with smartphone apps and GPS—and is inclusive of special needs children and senior adults. Find out more about Jennifer Pharr Davis at http://www.jenniferpharrdavis.com.